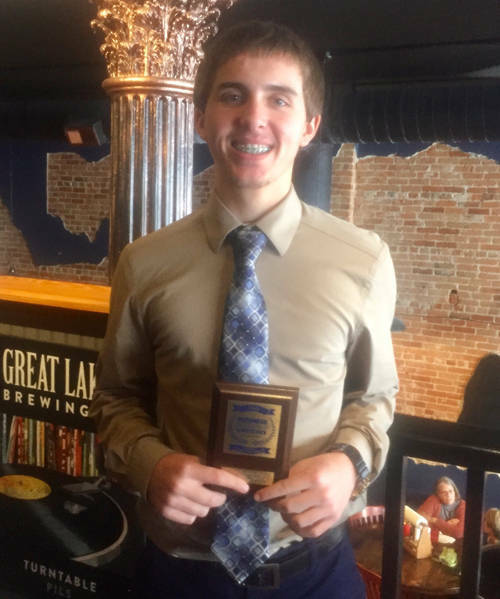 Mississinawa Valley High School’s Zac Longfellow qualified for the Business Professionals of America national competition in payroll accounting. 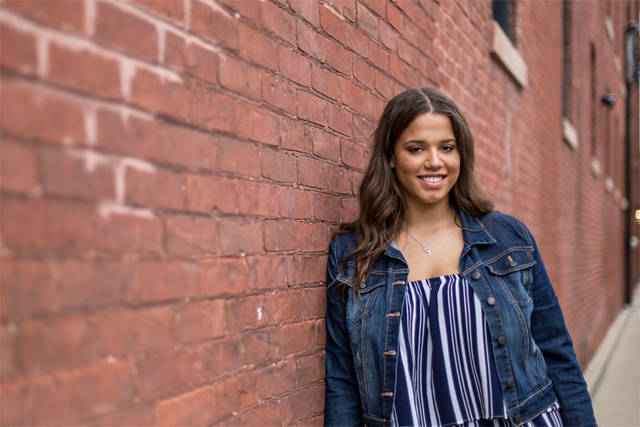 Mississinawa Valley High School’s Addison Spitler was chosen to be a voting delegate at the Business Professionals of America national competition. COLUMBUS – A pair of Mississinawa Valley students were selected to attend the Business Professionals of America national competition in Anaheim, California. The state of Ohio Business Professionals of America held its state competitive events and awards ceremony on March 14 and 15 at The Columbus Convention Center. At the awards ceremony, Mississinawa Valley High School’s Zac Longfellow learned that he qualified for national competition to be held May 1-5 in Anaheim. Longfellow will compete in payroll accounting with other high school students from across the United States. Addison Spitler was chosen to represent the Ohio association by being a voting delegate in Anaheim. Spitler will have very specific responsibilities while in California, including attending the business meeting, campaign rally and state caucus to elect the next Business Professionals of America national officers.